Our organization is in league with market leading manufacturers of Casting Cleaning Machine that is used to clan the casting parts through water jet. 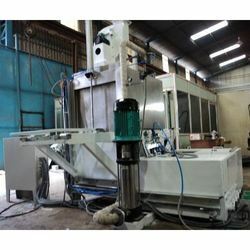 These machines are cost-effective and are highly reliable as we stringently test these machine for quality at our technologically advanced infrastructure. This fully automatic machines is designed and developed by a team of dexterous professionals using high-grade tools and updated technology.